Some people think that Los Angeles is warm and sunny all year long, however, it does, in fact, have four seasons. Many people visit Los Angeles, CA in the summer - this is the time of the year when the crowds, the smog, and room rates reach their highest levels. Room rates are at their least expensive in the winter which some consider the best time to visit Los Angeles. The temperatures are cool and pleasant in the winter, but there will probably be some rain in January and February. Spring, between March and May, and fall, between September and November, are best times to visit LA if you are looking for less crowds. In January, Los Angeles, CA receives the second to the highest precipitation rate in the year at 4 inches (101 mm). Meanwhile, the average high temperature is 67°F (20°C) while the average low temperature is 51°F (11°C). January is part of a 4-month cold season for Los Angeles were the average high and low temperature remains the same and the coldest out of the year. February has the highest precipitation rate out of the year with 4 inches (101 mm) of rainfall. The temperatures remain the same in February. In March, the precipitation levels decrease to 3 inches (72 mm). March is part of Los Angeles’ cold season where the average high and average low temperatures hold steady at 67°F (20°C) and 51°F (11°C) respectively. Los Angeles Weather in April: Temperatures see a small increase in April, breaking the 4-month weather pattern. The average high temperature rises to 69°F (21°C). Additionally, the low temperature average goes up to 53°F (12°C). May’s average high and average low temperature increases slightly again for the last month of spring ranging between 70°F (21°C) and 56°F (13°C). In June, the average high temperature increases by 3 degrees to 73°F (23°C). Meanwhile, the average low temperature bumps up a couple degrees to 58°F (15°C). July receives the least rainfall in the entire year as precipitation levels are close to 0 inches (1 mm). As summer continues, the average temperature increases to 77°F (25°C) and the average low temperature rises to 62°F (17°C). Los Angeles Weather in August: The hottest month of the year is August wherein the average high temperature peaks at 79°F (26°C). However, the average low temperature, which is 62°F (17°C), remains the same as the previous month. In September, the average high temperature decreases by a single degree. On the other hand, the average low temperature remains the same again at 62°F (16°C). October is where the temperature averages start to cool down quickly. The average high temperature decreases to 75°F (24°C) while the average low temperature goes down to 59°F (15°C). October also receives an average rainfall of 1 inch (23 mm). In November, climate drops further to an average high and average low temperature of 71°F (22°C) and 55°F (13°C) respectively. December marks the beginning of the long cool season of Los Angeles as temperatures go back down to 67°F (18°C) for an average high and 51°F (10°C) for an average low. This month also receives 3 inches (70 mm) of rainfall. Perhaps one of the greatest attractions in California are its incredible theme parks. While, theme parks don’t generally have an off season, the best time to visit from September through November. For the least crowds, plan your trip to the theme parks in the middle of the week. The best time to visit the beaches of California is any time between May and October, while camping and hiking is enjoyable in autumn months. For those who want to experience the best of the redwood forest, come in the spring months of March and April. There are several ways to get to Los Angeles. Many people fly into the Los Angeles International Airport (LAX), ranked as the world’s sixth largest airport in terms of passengers. It is conveniently located near many of the most popular tourist destinations. Amtrak connects approximately 500 cities with Los Angeles, the “City of Angels.” Trains run from the East Coast, but Amtrak also provides service along the west coast from San Diego to San Francisco, via Los Angeles. 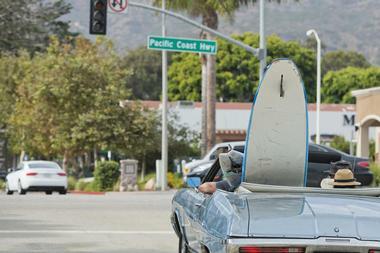 It’s a well-known fact that people from Los Angeles love their cars. If you choose to drive to Los Angeles, it is connected to the rest of the nation by interstates and highways. As one of the biggest airports in the world, LAX offers many ways to get from and to the airport. There are 40 car rental agencies that operate out of LAX. The FlyAway non-stop bus service transports passengers from LAX to locations throughout the city: it operates seven days a week. The Metro is another way to get into the city: there is a free shuttle from the airport to a Metro Green Line station. This same shuttle connects the airport with the Metro Bus Center. There are long distance vans that serve areas like Santa Barbara County, Simi Valley, and Ventura County. There are also many taxi and limousine companies. Los Angeles has quite a number of visitor information centers. The Los Angeles Convention and Visitors Bureau is the main center: there are two walk in centers, one on South Figueroa Street at West 7th Street: and one at the Hollywood and Highland Center in Hollywood. The staff can help visitors to find accommodations, provide directions, answer travel questions, plan itineraries to suit the needs of visitors, and make suggestions about where to eat and what to see. The visitor centers are also a source for travel guides and maps: maps are especially helpful in getting around this sprawling city. Visitors can also buy tickets to attractions at the visitor centers. Because Los Angeles is such a big city, its attractions are often quite far apart. This means that using a car can be the best option for some visitors to get around the 500 square miles that make up Los Angeles. There is a network of freeways that run through the city, but it can be challenging to visitors to understand this network: having a GPS navigation system in your car is a big help, or a detailed map will do. 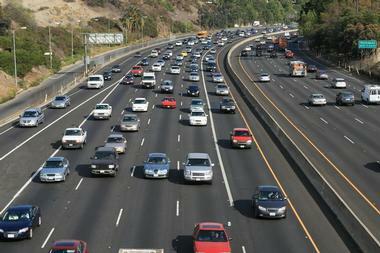 Visitors also need to be aware of the frequent traffic congestion that occurs on the freeways. It’s best to avoid driving during rush hour traffic in the morning and evening. 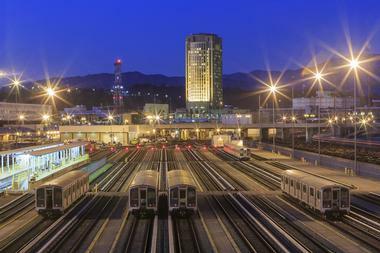 Los Angeles’ METRO system includes both bus and rail lines. There are six color-coded rail lines that are operated by the Los Angeles County Metro Rail. Some of the lines run above ground while other run below the streets. Fares are reasonable, but the lines do not always run close to attractions. For adventurous cyclists, the City of Los Angeles Department of Transportation Bicycle Information website offers maps as well as information on parking tips, bicycle laws, and safety tips. Traveling by taxi is another option for getting around the city: there are about 12 companies. It can be expensive, and taxis will only operate in their authorized area. 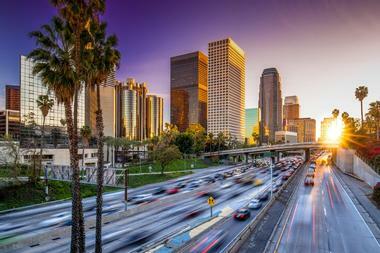 Los Angeles is one of the biggest cities in the United States, and it is also known for its many ethnic cultures. 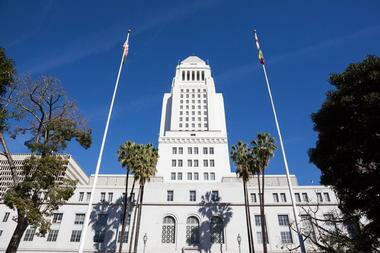 This means that tourists will find it hard to make dining choices while visiting Los Angeles. There are five star restaurants, eateries that cook food with organic vegetables, restaurants run by world-renowned celebrity chefs, and food trucks parked along the streets. Beach neighborhoods offer oceanfront dining with unforgettable views of the Pacific Ocean as well as sunsets. Some of the diverse ethnic cuisines are well known to most people: Cajun, Indian, Korean, Thai, Vietnamese, and more. But visitors can also try Afghan, Armenian, Burmese, Oaxacan, Persian, or Peruvian. Just as there are many dining choices, there are numerous shopping choices awaiting visitors to Los Angeles. 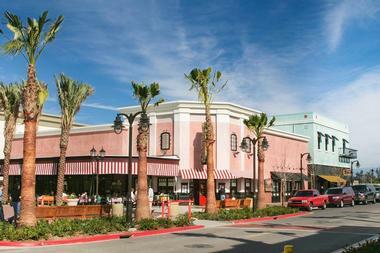 Rodeo Drive in Beverly Hills is probably the first shopping area that comes to mind. It is world famous and features art galleries, exclusive clothing shops, jewelry stores, and the occasional celebrity. Macy’s Plaza and Seventh Market Place are both located in the downtown area of Los Angeles; there is also a jewelry district and a garment district downtown. There are many shopping malls in West Los Angeles such as the Beverly Center in West Hollywood, the Westside Pavilion, and the Glendale Galleria. There are also discount shopping areas as well as the Pasadena Flea Market. 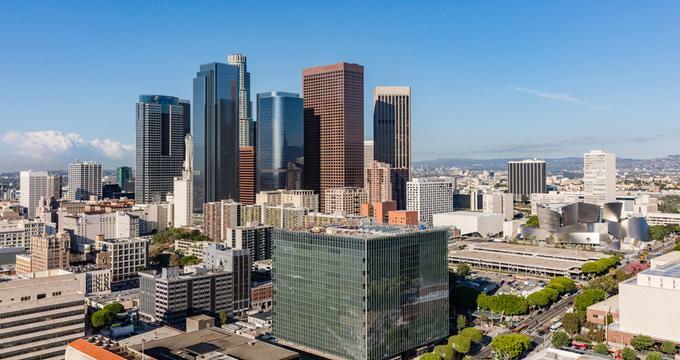 Los Angeles is made up of over a staggering 100 neighborhoods. 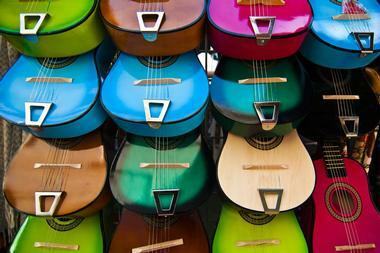 People from 140 countries live in this city, and they speak more than 200 different languages. Most visitors spend their time in neighborhoods along the Pacific Ocean: these neighborhoods are spread along a 60 mile beachfront stretching from the Palos Verdes peninsula northward to the famous Malibu area. Santa Monica is a favorite place for many visitors: there is a wide beach, the famous ocean pier, and many oceanfront hotels, restaurants, and shops. Venice Beach is known for its Ocean Front Walk. Other neighborhoods include West Hollywood, Beverly Hills, Downtown, the San Fernando Valley, Pasadena, Chinatown, and Little Tokyo. There are many romantic settings in Los Angeles, so it’s a great place for a wedding. Marriage licenses can be obtained at any of the Los Angeles County Registrar-Recorder/County Clerk Branch Offices that are scattered around the city. There are many hotels that make a good place for a wedding: some of these include the Hilton Pasadena, SLS Hotel in Beverly Hills, and the Intercontinental Los Angeles. Country clubs include the Malibou Lake Mountain Club, the Old Ranch Country Club, and more. For oceanfront weddings there is the Hotel Casa del Mar or Shutters on the Beach. Electra Cruises offers weddings at sea on one of its beautiful yachts. 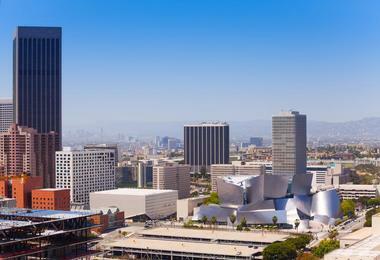 Choosing a location in Los Angeles for your accommodations is important. If your visit is focused mostly in one area, it’s best to find a hotel there: this saves a lot of travel time. If you’re planning to spend most of your time at beaches like popular Santa Monica or Venice, find a beach hotel that is located there. 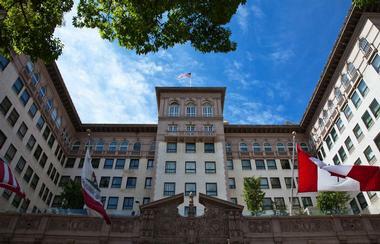 Hotels range from elegant five star properties such as the Peninsula Beverly Hills to more budget friendly accommodations. Families often choose accommodations that are close to the many theme parks in Los Angeles. 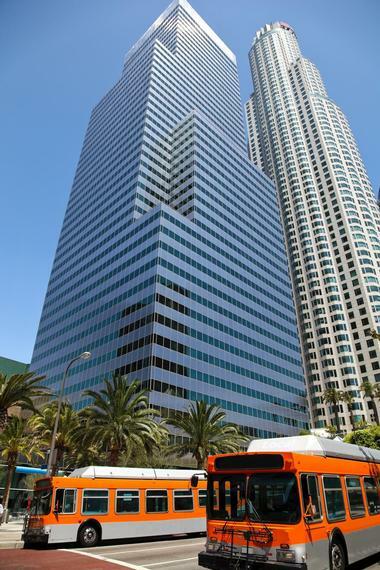 There are also some interesting boutique hotels in the downtown area of Los Angeles. 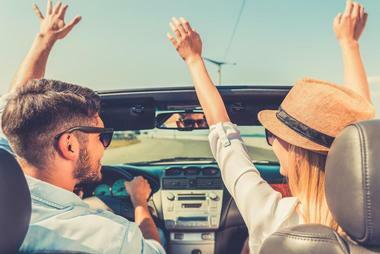 Save money on your car rental with Autoslash. The service lets you search for the lowest rate as well as track an existing reservation. 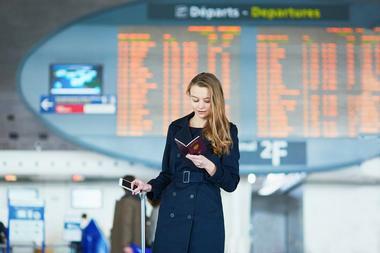 Car rental rates fluctuate considerably, especially during major holidays and peak travel times. By monitoring these price fluctuations, you'll be able to cancel a higher priced booking and save money with a lower rate.